Dirk Nowitzki plays the part of Lurch to perfection. Somethings are so perfect that you wonder how they have never happened before a certain time. 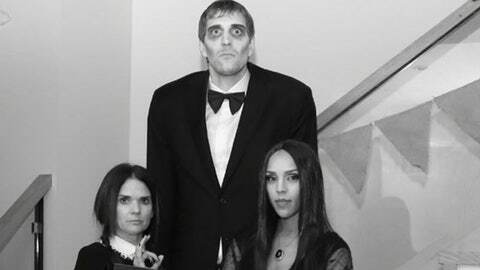 Such is the case with Dallas Mavericks star Dirk Nowitzki dressing up as the classic television character Lurch from "The Adam’s Family." Well, thankfully, we don’t have to wait for this perfect match any longer. The Mavericks held their Halloween party Saturday night and Nowitzki tweeted out a picture of the amazing costume. Thank you, Dirk. Hopefully, the Mavericks season will be as great as his costume.